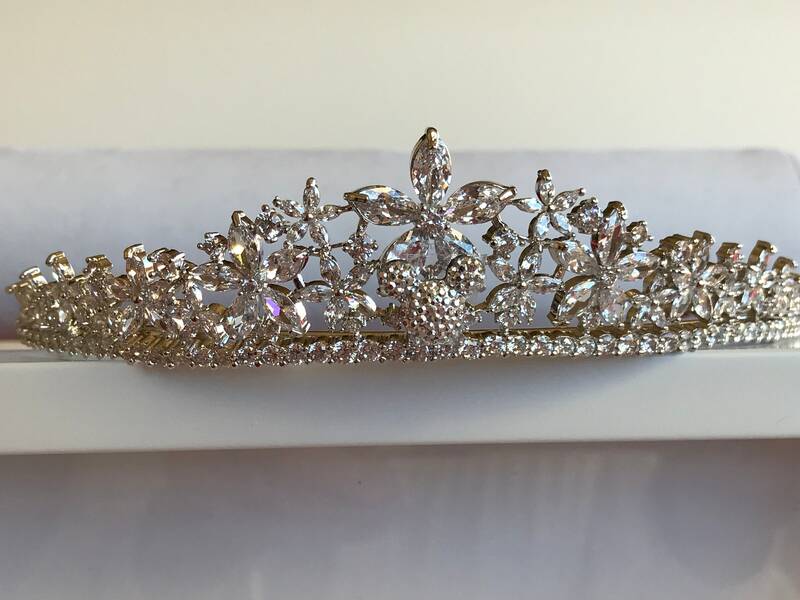 Gorgeous navettes and round rhinestones make up this silver tone tiara with crystal flowers graduating down each side of the head piece from the center. 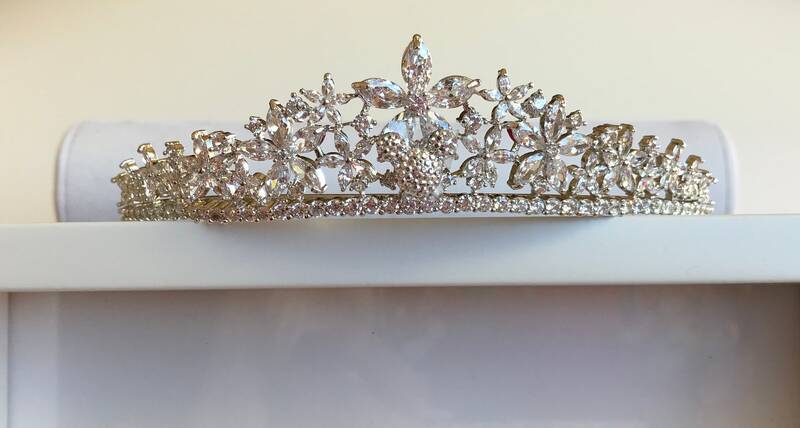 This tiara is 1 and 1/4 inch high at the center and gradually slopes down on each side to 3/8 of an inch. It is 14 cm or 5 inches across. The best part of this tiara is the silver hidden Mickey right in the center. 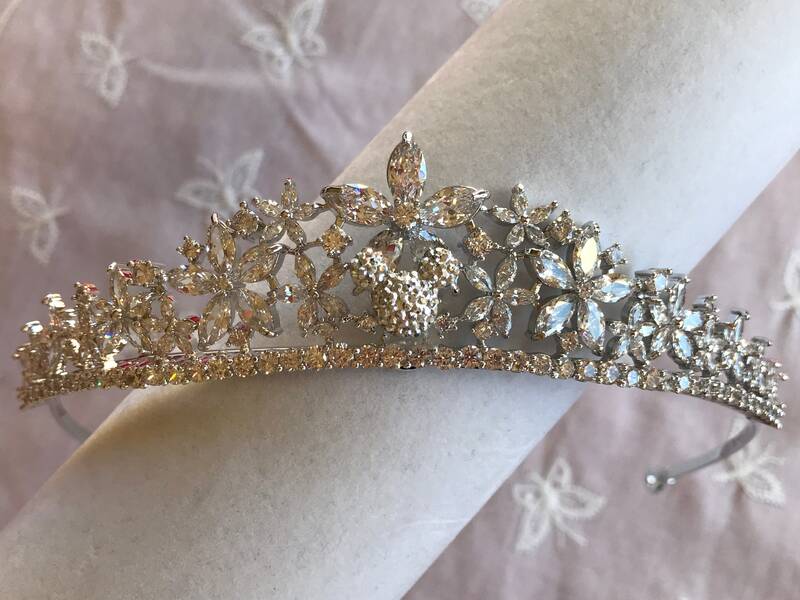 It makes this tiara a magical addition to your Disney Inspired Wedding. 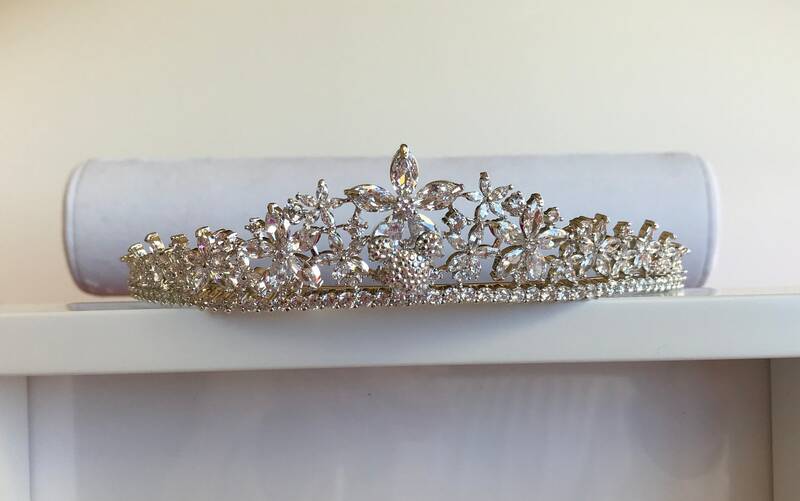 The silver tone tiara can be worn by itself or I am sure you could attach it to a veil. Just the perfect addition for the Cinderella bride to wear in her Fairy Tale Wedding. Also wonderful for that Bachelorette party!